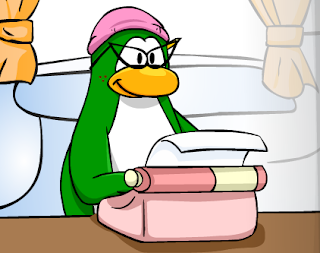 Aunt Artic is a famous editor in the Club Penguin Times News Paper! She loves to interview penguins and answer your questions! She is also known to meet you in some Club Penguin missions. She also loves to waddle around the island during Club Penguin partys! When special events happen on Club Penguin she will sometimes appear. For example, She has been found at the Penguin Play Awards. Make sure to look on servers from 3-5 servers. because thats where she will appear. Also keep in mind that the people who play the Club Penguin characters like to stay in member only rooms. Aunt Artic sometimes stays on servers for a good six min. 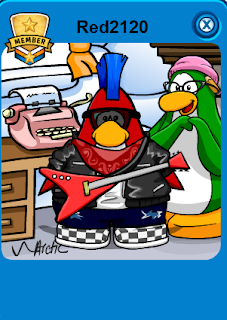 Also, if you find penguins all surrounding someone, Be sure to check out the users in rooms. Aunt artic always has a crowd. 2. She is NOT a robot. Theres a real Club Penguin worker playing Her. 4. She does NOT have a igloo You can go to. She has too much fancy things in there! 5. She does NOT have Club Penguin mail. Although you can get a special background from her! Good luck finding Aunt Arctic!